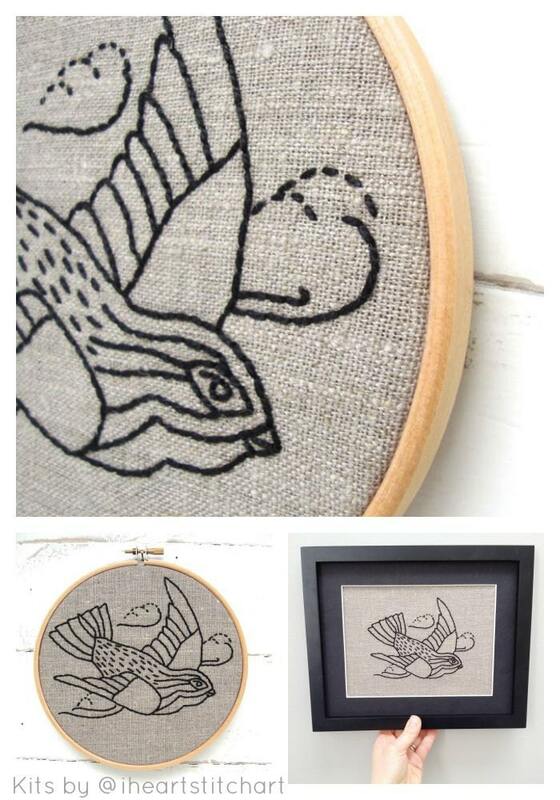 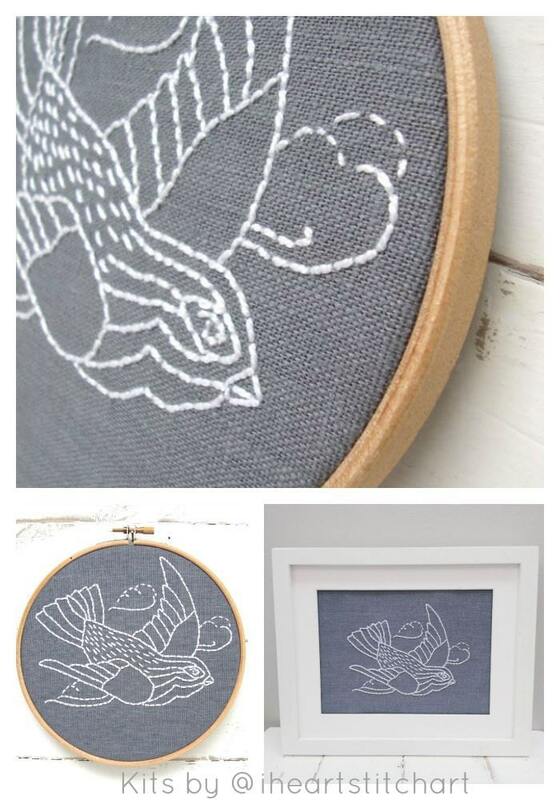 This embroidery kit features a swallow in flight. 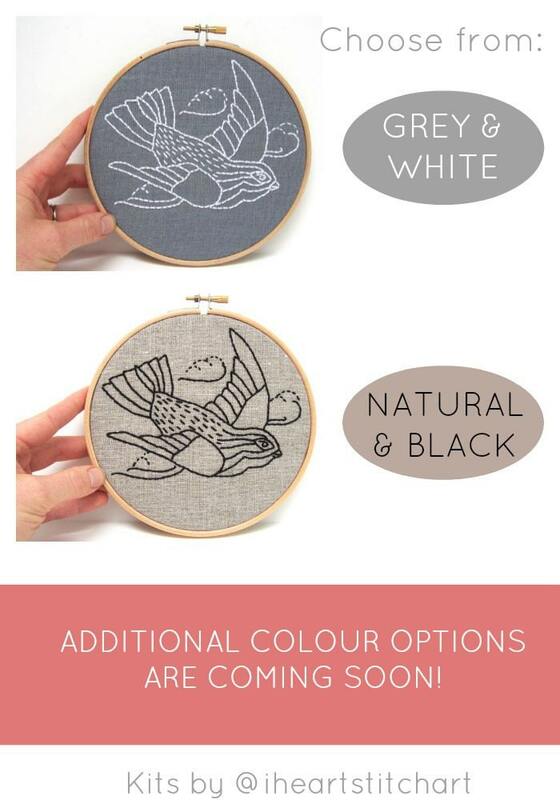 The kit contains everything you need to get started! 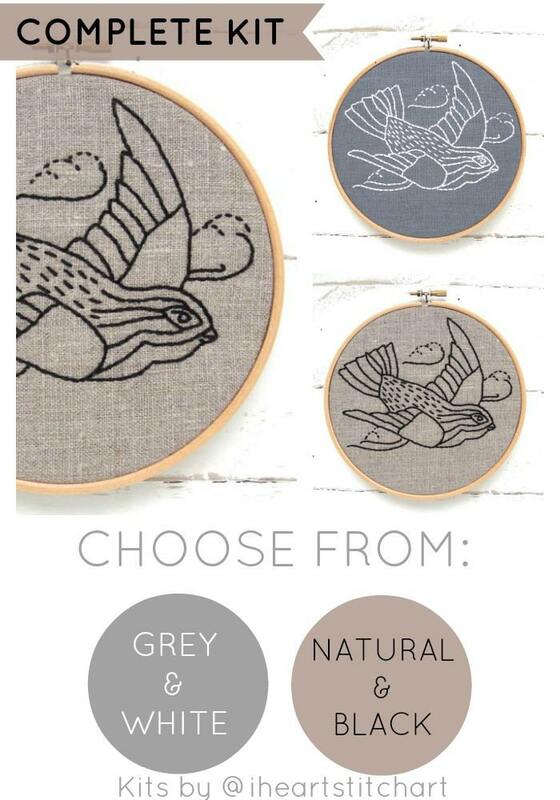 Choose your favourite colour and enjoy!